Call 571-357-2876 to schedule your first appointment. Your ability to hear can greatly impact your overall quality of life. Whether you’re encountering a hearing problem for the first time or have been seeing a hearing specialist for years, if you feel that your hearing isn’t what it should be, come to Miracle-Ear. As an established hearing center in Springfield, VA, our goal is to help you reach the point where hearing isn’t something you have to think about, but rather, it’s something you simply do naturally. For more information about our Springfield, VA hearing center or to see how we can help you, call or visit Miracle-Ear today. Kassandra joined our Miracle-Ear team in the spring of 2017. She has found great passion in assisting those in need and helping to change lives. 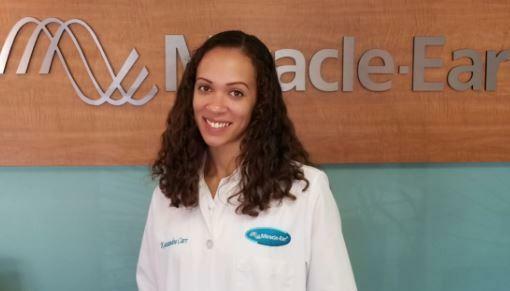 Kassandra went undergone extensive training and is a Certified Hearing Care Professional, and is licensed through the state of Virginia as a Hearing Aid Specialist. She has assisted in the training of fellow Consultants and feels great gratitude in helping not only those who she encounters in hearing evaluations, but with her colleagues in the workplace as well. 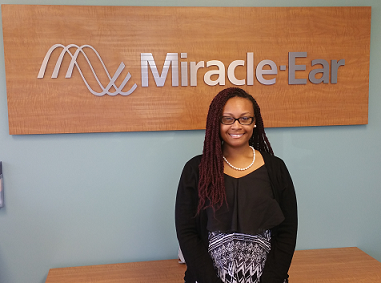 Kassandra finds great passion in working with Miracle-Ear and helping to change lives by assisting those in need. She thoroughly enjoys the mutual, trusting relationships she's built with her patients' that will last a lifetime! Lauren is the Regional Office Manager/Aftercare Program Director based in the Alexandria office. Her role includes, but is not limited to, supervision of office procedures, efficient communication with patients, and upholding our extraordinary Aftercare Program. On a regular basis, she meets with existing patients to ensure proper maintenance of current equipment and annual hearing exams are completed and up to date. Lauren maintains licensing as a Hearing Instrument Specialist, specializing in Operations, Office Management, and Patient Care. She also maintains up-to-date certifications as a Hearing Care Professional and Office Administrator. Lauren is passionate about maintaining an organized and proficient environment to allow patients to receive the best help and attention possible. As a mother of a deaf child with Cochlear Implants, she understands the importance of care not only from the initial appointment, but for the entire duration of the lifetime experience. I have to say that I am very happy with the services of Miracle-Ear of the Springfield, VA center. People are very nice and helpful. Casandra does out of her way to answer my questions. She is helpful, caring, and doesn't let me leave until I am satisfied. I have always been very pleased with the helpful attitude and professionalism of the folks at Miracle Ear. They always go above and beyond to make sure that I am completely satisfied with my hearing aids whenever I visit. Thank you so much for your help and positive, friendly attitude! After 16 years since my first purchase, I returned to Miracle Ear for new hearing aids. I am not only extremely pleased with the product and the results, but have found the service by Andrea Sotolongo, the hearing aid specialist, and her assistant, Lauren Jones, to be outstanding in all ways: professional, knowledgeable, helpful, and patient. A thoroughly rewarding experience!